There’s been plenty of fuss and fury over the possible shutdown of Japan’s revered Studio Ghibli following the retirement of its founding animators, Hayao Miyazaki (My Neighbor Totoro, Spirited Away, Princess Mononoke, The Wind Rises) and Isao Takahata (Grave Of The Fireflies, The Tale Of The Princess Kaguya). Ghibli reps have clarified that the studio isn’t going away, it’s just reorganizing and reducing staff, a necessary business reality given that Ghibli’s Miyazaki-directed movies far out-earned its non-Miyazaki movies. It’s still possible there will eventually be more Ghibli features. 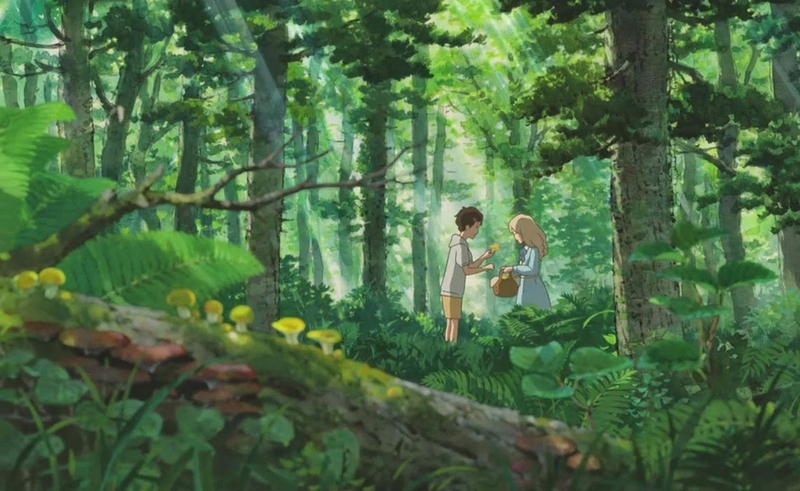 It’s just hard to imagine that a reduced studio staff could keep up the lavish, loving quality of When Marnie Was There, the last movie on Ghibli’s animation docket. Like so many Ghibli features, Marnie is an accomplished animated showcase. But this time, the images seem particularly lustrous, the colors especially rich. If the studio has to cut back from here, at least it’s set yet another high-water mark before the tides recede. Marnie, like Ghibli’s The Secret World Of Arrietty and Howl’s Moving Castle before it, is based on a beloved British children’s book—in this case, Joan G. Robinson’s 1967 novel about an orphan who befriends a mysterious stranger. In this adaptation, the orphan is Anna Sasaki, a withdrawn, asthmatic schoolgirl stricken with self-loathing after she learns that her adoptive parents are receiving a government stipend for her care. She’s convinced they don’t love her because she’s ugly, unpleasant, and damaged, and when her adoptive mother (whom she calls “Auntie” exclusively) sends her to the country for a short period to improve her asthma, Anna believes she’s being dumped out of spite. Then she meets a mysterious blonde girl living in a vast house on a marsh. While Anna is sullen and awkward around most people her age, the two girls instantly connect, with Anna obsessing about spending time with Marnie, and consciously ignoring the fact that Marnie keeps disappearing inexplicably, or that Marsh House is sometimes dilapidated and deserted, and sometimes filled with light and life. Anna’s explanation for these phenomena is surprising, and surprisingly practical, and it’s one of few surprises in a fairly straightforward story, familiar from a century or more of gothic literature. But in spite of the third-act reveal, Marnie isn’t really a movie about surprises. Like so many Ghibli films, it’s about the power of emotion. Anna’s transformation from faint-hearted and miserable to enthusiastic and engaged with the world closely mirrors the transformations other Ghibli heroines have gone through, from Chihiro in Spirited Away to Kiki in Kiki’s Delivery Service to Sofî in Howl’s Moving Castle. Her change in attitude changes her ability to perceive truths about the world she’s been unable to accept. Writer-director Hiromasa Yonebayashi (who also helmed Arrietty in 2010) and his co-writers, Ghibli vets Keiko Niwa and Masashi Ando, make this change feel natural and unforced, the product of a good example, growing wisdom, and a personal crisis. 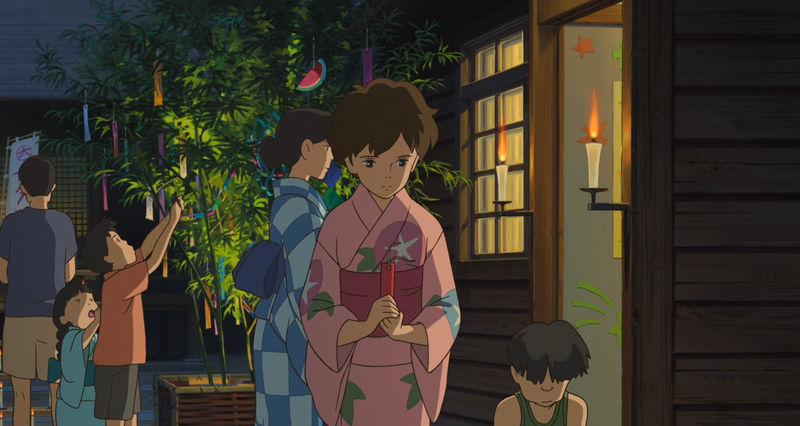 But they also give Marnie its power by placing this simple Secret Garden-style story in the middle of an impeccably executed world, painted in glowing colors and in such fine detail that a random plant on a shelf can be identified by precise species. Everything about Marnie’s world feels heightened to the Platonic ideal of itself: When Anna’s plump aunt slices up a garden-fresh tomato, it compresses and bulges just slightly before the crisp skin gives way. A set of carved animals exhibit recognizable chisel marks and wood grain. Light shines through the thick panes of a glass-shaded lamp in ways that reveal the glass’ texture. This setting feels more real than reality does. Marnie feels like a study in contrasts with the work of another great Japanese animator, Satoshi Kon: In films like Paprika, Millennium Actress, and Perfect Blue, Kon played with perception, shifting realities, and shock surrealism in the same way Marnie does here, for instance when Marnie deliberately steps off a cliff without falling to the rocks below, or Anna reaches for a memory, then finds herself elsewhere, with hours having mysteriously passed. But Kon played these sorts of shifts for disorienting impact, producing films that feel delightful but grotesque, ecstatic but nightmarish. Yonebayashi makes Marnie’s back-and-forth realities lulling instead, giving the film a melancholic feel that’s pure Ghibli—the bright, hot, disorienting feel of a dark dream had while napping in a sunny field. This is the first Ghibli film without Miyazaki or Takahata’s credited involvement, but Miyazaki’s voice hangs recognizably in the air, and his design aesthetic is present in every character, and every richly painted, exquisitely textured backdrop. Marnie is smaller in scope than his films tended to be—there’s no obsession with soaring flight, no heavy moral dilemmas, no outsized fantasy elements. It’s a quiet film of modest narrative ambitions and simple shifts. But its technical and visual ambitions couldn’t be higher. It’s as if Ghibli is still trying to raise its own bar, so that even if it’s going out, it’s reminding viewers what they’d be missing. Note: Ghibli has also produced an English-language dub, featuring Hailee Steinfeld and Kiernan Shipka as Anna and Marnie, with Ellen Burstyn, Kathy Bates, Geena Davis, Catherine O’Hara, and John C. Reilly in smaller roles. Both versions will play in U.S. theaters. Check with your local theater to see which one’s showing.